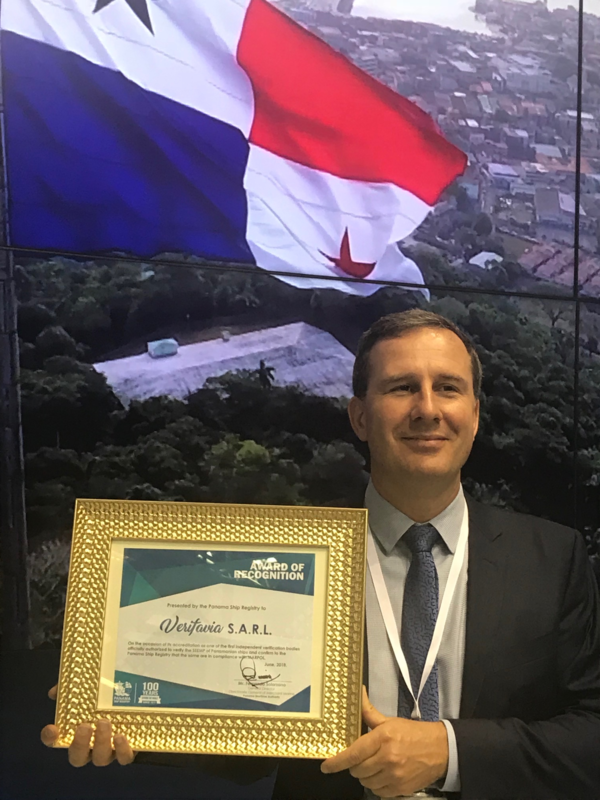 LONDON, PARIS, ATHENS – 6 June 2018: Verifavia, the world’s leading emissions verification company for the transport sector (aviation and shipping), announced today during Posidonia 2018, that it has become the first independent verifier authorised by the Panama Maritime Authority to conduct the International Maritime Organisation’s (IMO) Data Collection System (DCS) verification services for vessels registered in Panama. About the IMO Data Collection system: The IMO has outlined a roadmap through 2023 which is focused on developing a comprehensive strategy for the reduction of GHG emissions from shipping. In April 2015, the IMO’s Marine Environment Protection Committee (MEPC) agreed to mandatory requirements for ships to record and report data on their fuel consumption. Thereafter, in October 2016 at the 70th meeting, it was decided that these requirements would be adopted as modifications to MARPOL Annex VI. Verifavia Shipping, and Verifavia Shipping Hellas which serves the Greece and Cyprus-based shipping market, strives to be the maritime industry’s first choice for the provision of efficient, competitive, and flexible verification information and services worldwide. For more information about Verifavia Shipping, visit http://www.verifavia-shipping.com. For up-to-date information and news about the EU MRV and IMO DCS regulations, follow http://twitter.com/VerifaviaMarine.